Nike Nike Air Foamposite One "Optic Yellow"
Nike Air Foamposite One "Optic Yellow"
The Foamposite One returns for summer 2016 with the release of the Nike Air Foamposite One "Optic Yellow." Also nicknamed the "Wu-Tang" Foamposite One, the sneaker features a mix of optic yellow and black throughout. Release date is June 24, 2016 at a retail price of 230. 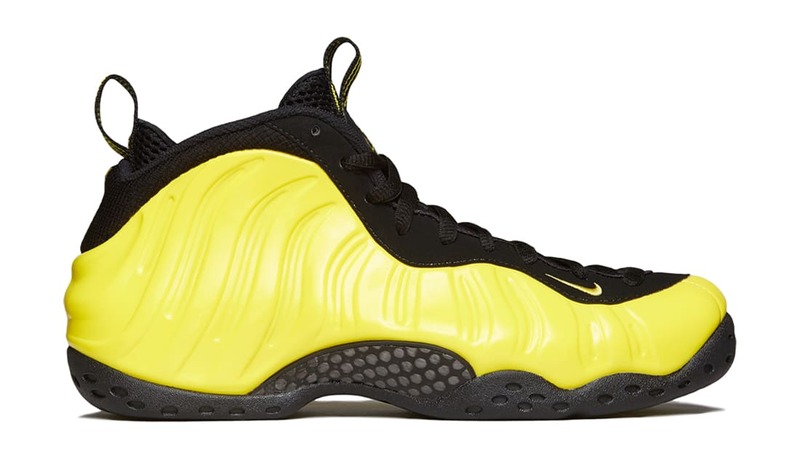 News Nike Air Foamposite One "Optic Yellow"